Using natural materials and symbolic forms, Shinberg.Levinas created an elegantly simple, modern space for B’nai Tzedek. Layered walls use light and texture to enhance the design. Light washes down on the sanctuary in different paths at different times of the day, transforming the character continuously. 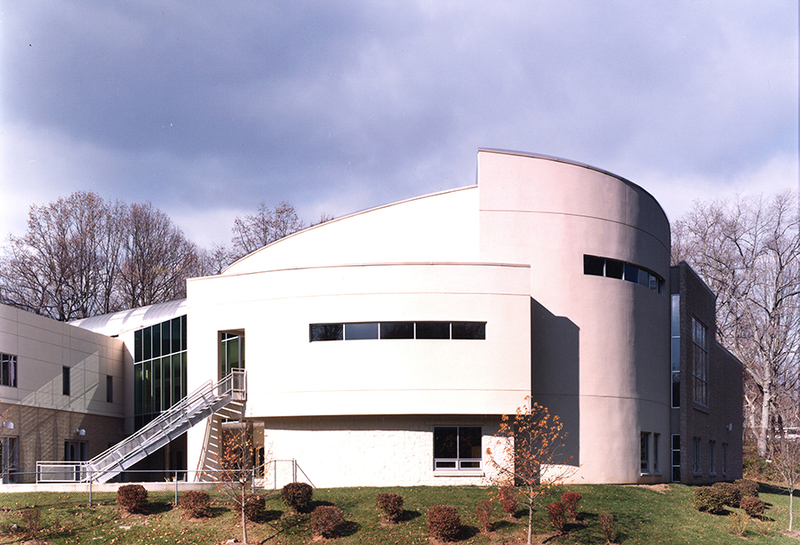 Located in Potomac, Maryland, Congregation B’nai Tzedek had experienced significant growth in membership, with the number of congregants doubling in just a few years. 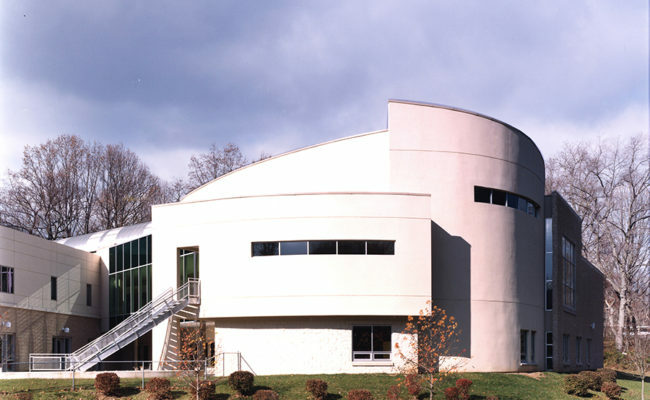 The synagogue called for a 12,300 square foot addition to its existing facility, including a new sanctuary to accommodate 850 worshippers, a fellowship hall and educational facilities as well as the upgrading of the library, kitchen, and administrative areas. The natural landscape is a tremendous asset to the building with its greenery and rolling hills. 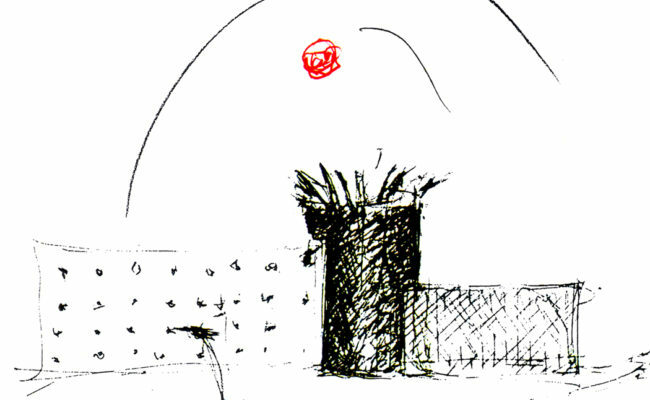 With the new design, the architect joined the building with the topography, merging nature with the structure. B’nai Tzedek’s interior integrates seamlessly with its exterior, from the terrace extending behind the sanctuary to the courtyard. 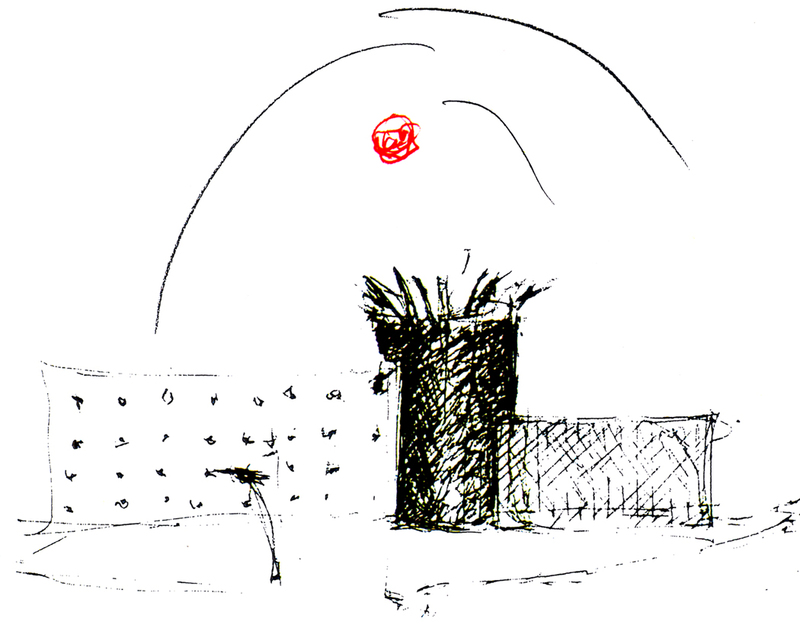 The driving concept in the design is a quote from the Mishnah – Jewish law texts – that calls upon the people to “make a fence for the Torah.” With this in mind, the architect set the Torah in the center and symbolically layered three walls around it: the first of Jerusalem stone, reminiscent of the Wailing Wall in Jerusalem; the second representative of the seven gates of the Old City, and the third of mahogany showcasing golden letters of the Hebrew alphabet. The letters serve as a symbol of the beauty of the Jewish heritage, each one containing many mysteries and insights. These walls together embrace the congregation, emphasizing the theme of inclusion and drawing the congregants closer to the ark.